“No reservations – this is a cracking ceilidh band, and a killer album.” Grem Devlin’s review of Teannaich’s album Energised from The Living Tradition Magazine, Issue 118. 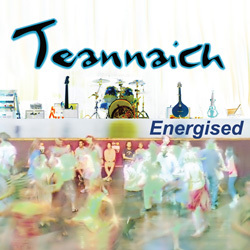 Teannaich released their latest album “Energised” in December 2016. Buy your copy here! It is also available for digital downloading/streaming from all top providers such as itunes or google play. Thanks to the Alan Crookston Ceilidh Band for last night - as always, the photos and live video is up on our page get tagging yourselves in them.